I'll put my hands up and say I am NOT a hair expert, and I could be talking a load of old crap in the following post! So please remember this post is just from my own personal experience with this product. I really don't want anyone to take my word as gospel as I honestly just experimented and hoped for the best! I'm not overly protective of my hair colour, so I did take a risk. I did recently read this post on the Bleach blog about using pinks and peaches to correct green tones which might explain things better! My hair has been developing a noticeable green hue over the past few weeks. I had left a blue based toner on my hair for too long, leaving a green tint. 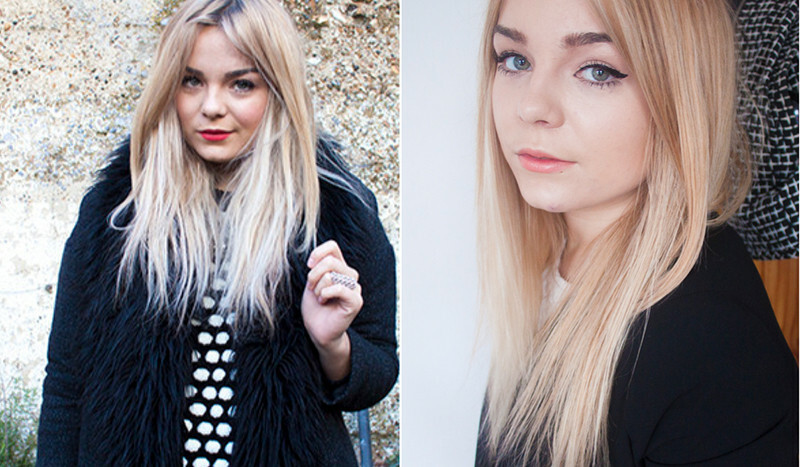 I have the most basic grasp of the colour wheel when it comes to hair toning. To the best of my knowledge if you want to neutralise a hair colour you need to apply the opposite shade on a colour wheel. For example, the blue pigment in the purple toning shampoo had been giving my hair a slight greenish tint because of it's yellow base colour. While it's not overly noticeable in photos because of the filters I use. I feel like it is very noticeable in real life... well I think it's noticeable! I had intended on maintaining a light ash blonde, but it'd sort have passed that mark and gone over to a murky swamp shade. The base of my hair colour is a very light yellow blonde from when I had a "Barbie Blonde" incident at the hairdressers. The second photo right image is my "before" image. You can see how light my hair had got, a very pale blonde. To try and neutralise some of the green and bring my hair back to a natural blonde, I knew that I needed to use a reddy tone in my hair. Going back to the colour wheel, it's the opposite shade so should neutralise the green. My thought processes for using pink toner were like: "pink's similar to red, close enough". I really had no idea if it would work, but I crossed my fingers and hoped for the best. At the end of the day, I don't mind about having pink hair as I've had it before, so I didn't have anything to lose. During X Factor and a bit of coaxing via my friends I decided to do it. I found after the first wash (first photo) it was very pink, a sort of strawberry blonde type shade. On the second wash made it a sort of mid toned blonde with a pink tone (first image). Then my third wash (second image, left) since toning was light golden blonde with a pinkish glow. It now looks much more natural and way more flattering than my heavy handed purple shampooing greenish peroxide blonde look, it just wasn't quite working for me. 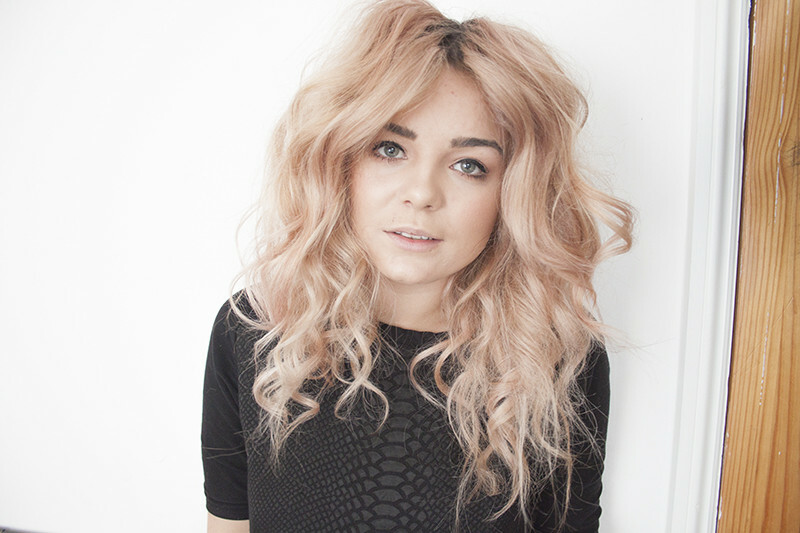 I do feel like I've been sitting on these L'Oreal Pastel Toners for ages! I went to a launch for them about 6+ months ago and really wanted to use them but never got round to it! L'Oreal Pastel Toning Conditioner in Pink Panther is a conditioner that has a pink colour through it. The product came out as a light pink with a peachy base. 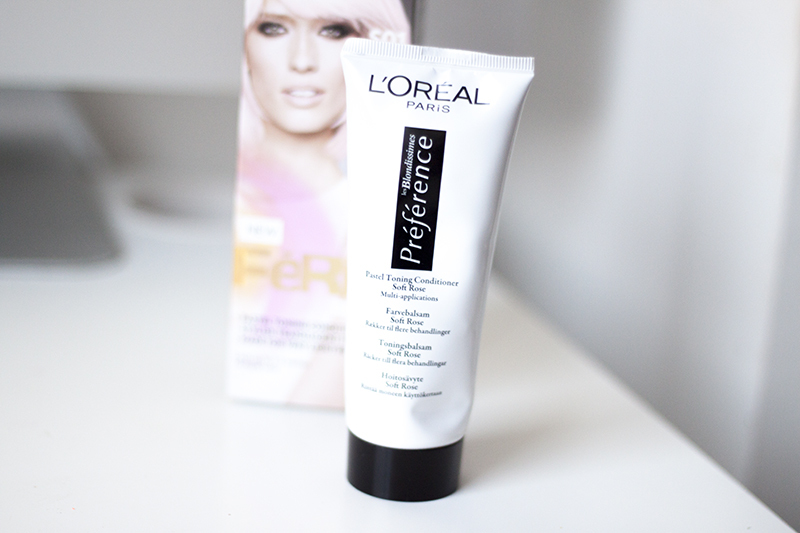 I've never used this or attempted anything toning my hair like this, so I was a bit nervous! The product itself has a very conditioning base is really lovely, and nourishing, after using this my hair felt SO soft and fluffy I was really surprised how nice it felt. While these toners are designed for light to bleached hair to give it a burst of colour, The tone the L'Oreal Pastel Toning Conditioner in Soft Rose has given my hair is exactly what I wanted. I've used it to help get that creamy warm blonde back. 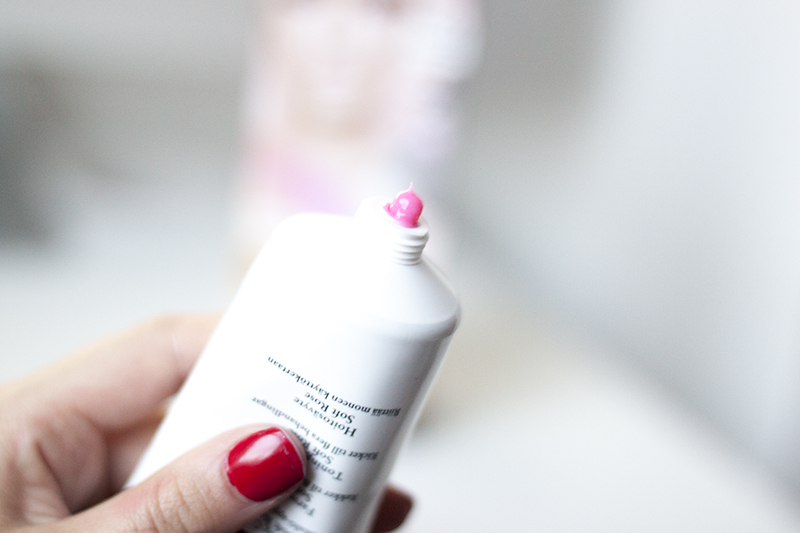 Long gone are all the unflattering green tones.This product has been designed for very light blonde or white hair to give a pearly strawberry milkshake shade, but it worked really well as a colour corrector on my hair. It might not be hugely noticeable to you as a reader because I honestly think my hair looks the same in all photos despite the fact it changes tone all the time.